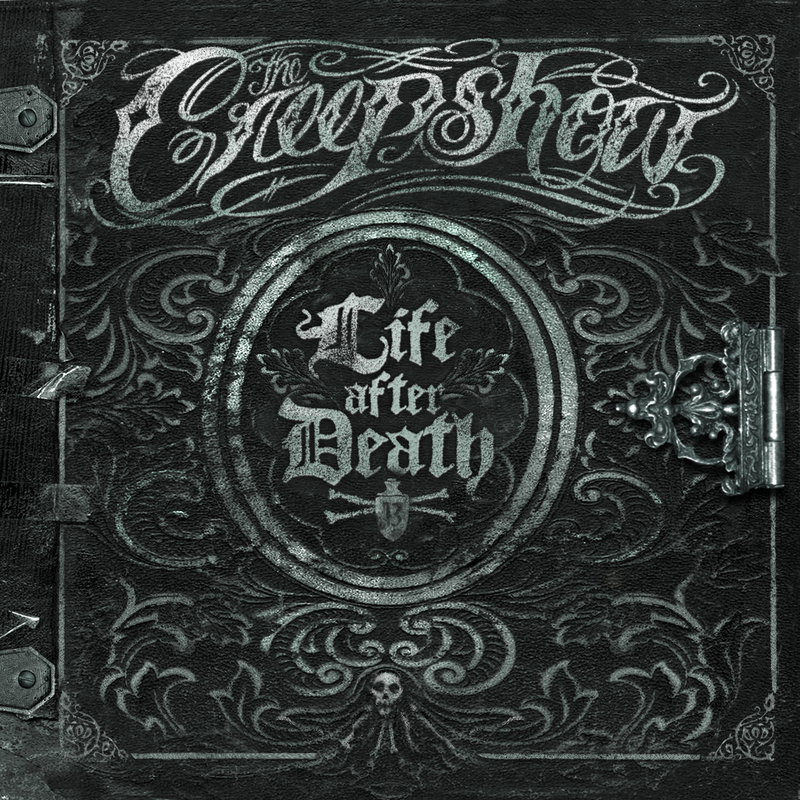 A lot has happened around The Creepshow since their last album. In the summer of 2012 singer Sarah Blackwood left the band. It was a blow but by no means fatal, Kenda Legaspi took over on vocals and Sandro replaced Matt Pomade on the drums. In addition German friend Daniel Flamm joined the band to support his Canadian companions on guitar. The current line-up is now a solid unit. With a new and improved line-up in place The Creepshow are back in business and ready to go. Their brand-new album Life After Death is in the can and due to be released in Europe on 21st of October on People Like You. The band’s first offering, and taste of things to come from the album was the single “Sinners & Saints” which was released in July. The Creepshow have been busy playing European festivals over the summer including Reading and Leeds festivals here in the UK on the Mike Davies BBC Radio 1 Punk Show sponsored Lock-Up stage. After some blistering performances there and on their UK club tour they left fans in no doubt that the new-look Creepshow rock just as hard as previous incarnations, we’d like to think harder. Formed in the dirty back alleys and dive bars of Toronto, Ontario in 2005, The Creepshow have worked hard to redefine the saying ‘No rest for the wicked’. 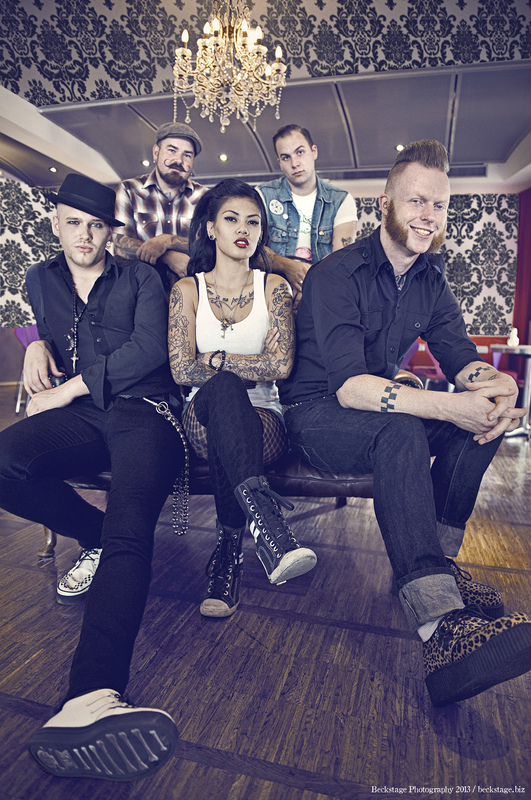 They are a punk-psychobilly influenced band with b-movie and horror movie inspired lyrics. Since their inception, they have brought their genre-defying blend of country-tinged, psycho punk rock’n’roll to over 25 countries with plans to play many more as soon as possible. Their live show is simply an explosion of musical and visual energy. WHAT THE PRESS ARE SAYING……. This entry was posted in Press Releases and tagged BBC Radio 1 Punk Show, BBC RADIO I PUNK SHOW, Creepshow life after death free download, Kendalyn “Kenda” Legaspi, Kristian The Reverend McGinty Rowles.Sandro Sanchioni.Daniel Flamm, Leeds Festival, Lock-Up Stage, Mike Davies, People Like You records, reading festival, Sean “Sickboy” McNab, Simon Nott publicist, Simon Says PR, sinners and saints, The creepshow, The Creepshow Life after Death. Bookmark the permalink.